It’s rare to uncover an artist with a world-class voice and an unmistakably authentic sound to match. 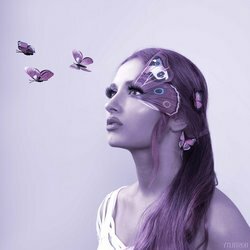 Australian singer LUNA is exactly that and much more—with an alluring combination of soaring, powerful vocals & unapologetic lyrics, layered over a hard hitting contemporary alt-pop soundscape. Unquestionably captivating from the second she steps on stage, LUNA is an electrifying performer who exceeds the conventional expectations of pop singers, leaving her in a league of her own. LUNA’s debut EP “BAD” is a revelation, and like its creator, it is bold and daring. Welcome to her Sin City. Her debut EP 'Bad' which has been streamed more than 50,000 times internationally, and has peaked in popularity being played on over 100 US college radios, as well as rotating on local Australian radios. With a first show crammed with fans from all over Australia flying interstate to be there, and a sensational live review from Australia's own 'The Music,’ there is no doubt LUNA is taking the pop world by a storm. Hostility is a deeply personal track unveiling the vulnerabilities LUNA has never showed before. With detailed vocals, you can hear the cry in her voice bring to life the sweeping atmosphere and orchestral soundscapes. The lyrics are an open diary, expressing in sounds what words cannot say about depression and helplessness.